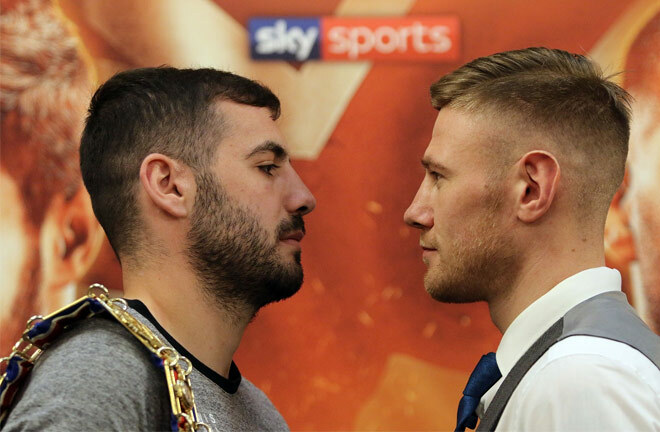 Lewis Ritson defends his British Lightweight title against Paul Hyland Jr and Josh Kelly challenges Commonwealth Welterweight champion Kris George on a bumper bill at the Metro Radio Arena in Newcastle on June 16, live on Sky Sports. Ritson is aiming to capture the coveted Lord Lonsdale for keeps in what has been a stunning reign as British ruler, landing the crown in October by stopping Robbie Barrett in the tenth round in Manchester before the Newcastle ace displaying his awesome power with a first round demolition against Joe Murray in February and coming out on top in a two-round shootout with former champion Scotty Cardle at The O2 in March. Hyland Jr is the mandatory challenger for Ritson’s title and the unbeaten Belfast star will be confident of taking the title home having tasted title glory himself in 2017 landing the IBF European strap at home in June with a first round KO over Adam Dingsdale and then defending it against Dublin’s Stephen Ormond. 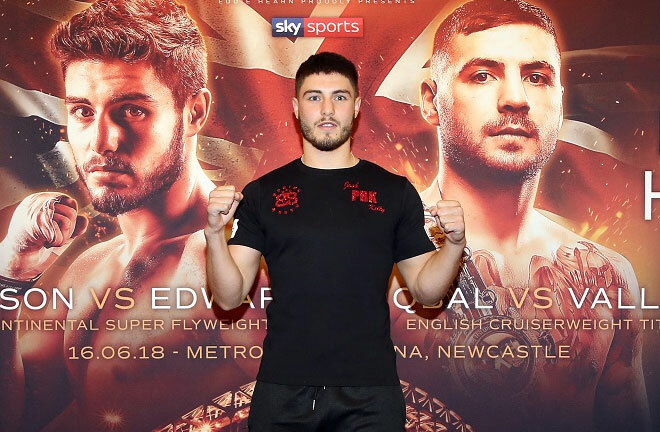 Kelly landed his first pro title at Principality Stadium in Cardiff in March, beating former IBF World champion Carlos Molina to claim the WBA International Welterweight title in just his sixth pro fight. The Team GB Rio Olympian is one of the hottest properties in world boxing and the Sunderland star now aims to bag his second strap against Australian George, who makes the second defence of the title he landed in November 2016 in his first fight away from Australia. There’s a stellar card in support of co-headliners as former World champion Stuart Hall challenges former World title challenger Gavin McDonnell for the WBC International Super-Bantamweight title. Hall has been chasing a rematch with McDonnell’s twin brother Jamie after falling to the Doncaster man in 2011, two years before he landed the IBF World Bantamweight title. There’s added spice to the fight as Darlington’s Hall also looks to gain revenge for gym-mate Gamal Yafai who McDonnell beat in a career-best performance in Sheffield in March to land the title he defends in Newcastle. Another former World title challenger in Surrey’s Charlie Edwards faces an important clash against South Shields’ Anthony Nelson for the vacant WBA Continental Super-Flyweight title, while Middlesbrough’s Simon Vallily takes on English Cruiserweight champion Derby’s Arfan Iqbal. Eddie Hearn: “It’s fantastic to be back in the north east and this is a brilliant card from top to bottom with five excellent title fights. Tickets are on sale to Matchroom Fight Pass members now priced £40, £60, £80, £100 and £200 VIP at www.stubhub.co.uk.